It's a wonderland for those who love grocery shopping. From fresh fruits to healthy snacking, they have it all available. I was overwhelmed with the variety of olive oil on display! 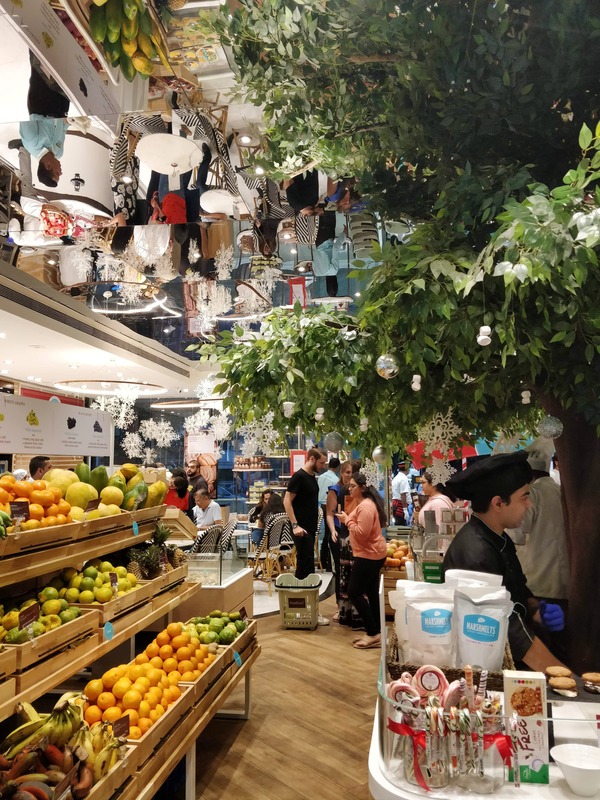 This Foodhall has eateries such as a cafe and a tea house with fancy options to choose from. Sorrentina is an Italian restaurant that recently opened its gates. You can also buy your kitchenware, crockery and other household items from here. With a chic baking studio on its top most floor, they provide culinary classes regularly.